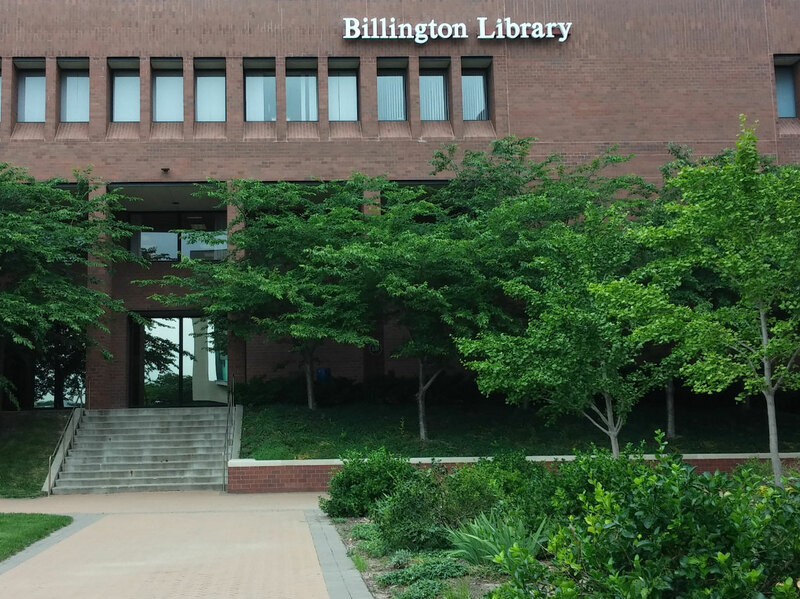 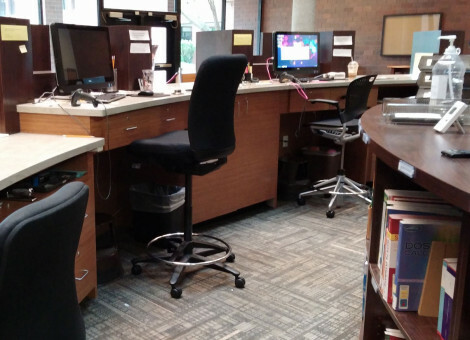 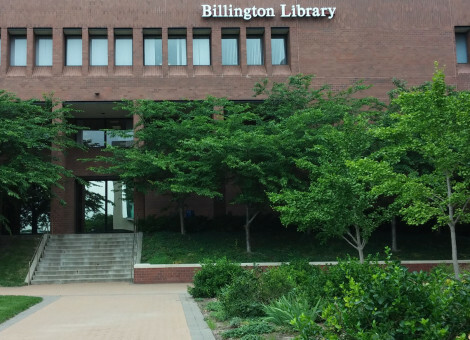 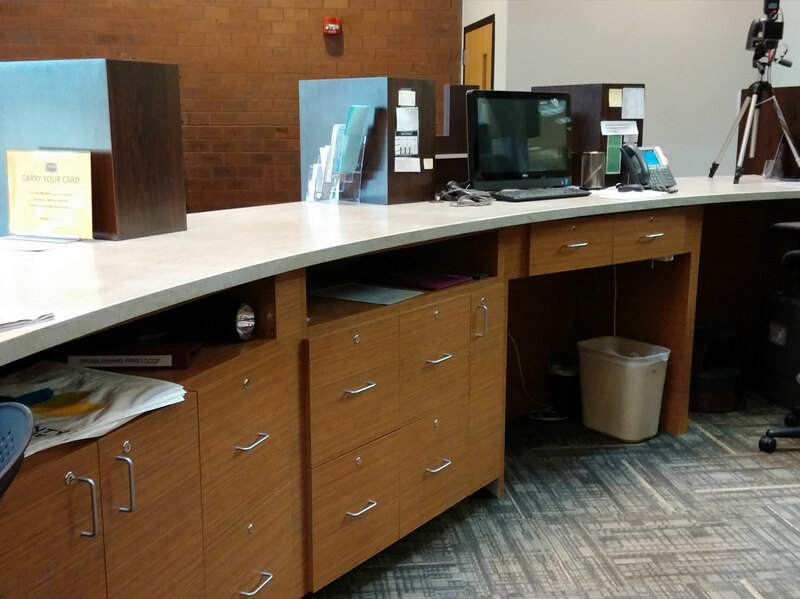 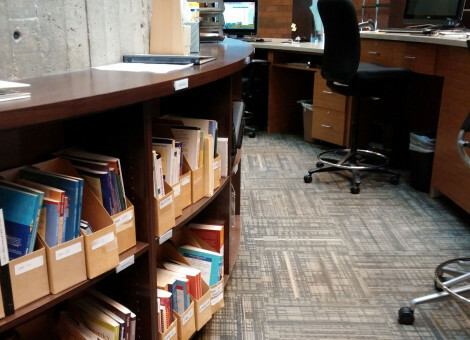 This project required extensive renovations to Johnson County Community College’s renowned Billington Library. 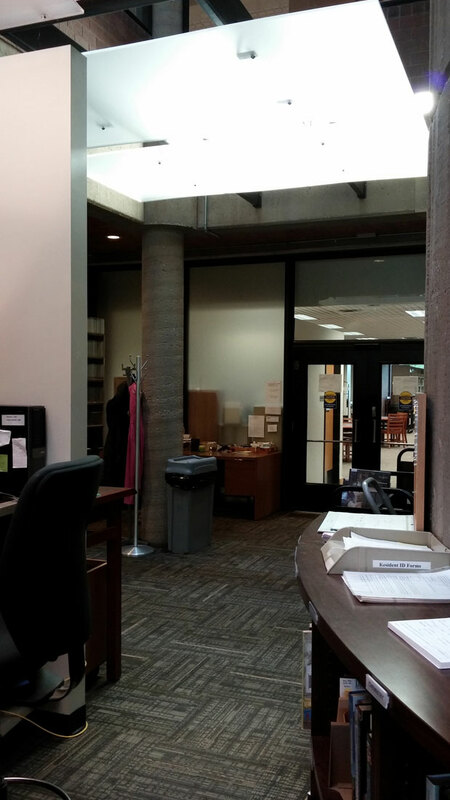 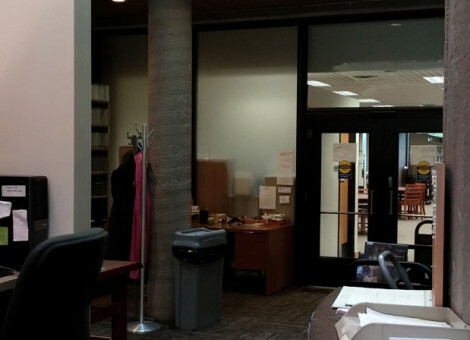 The college has been experiencing rapid growth, so in addition to renovations in the circulation area, we built classrooms in the upstairs area. 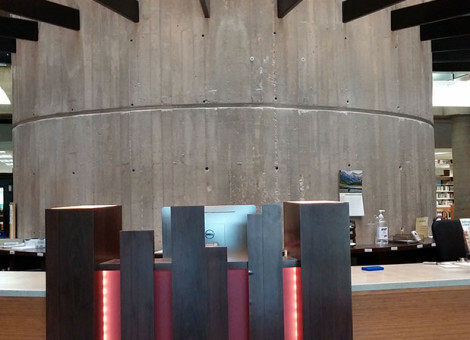 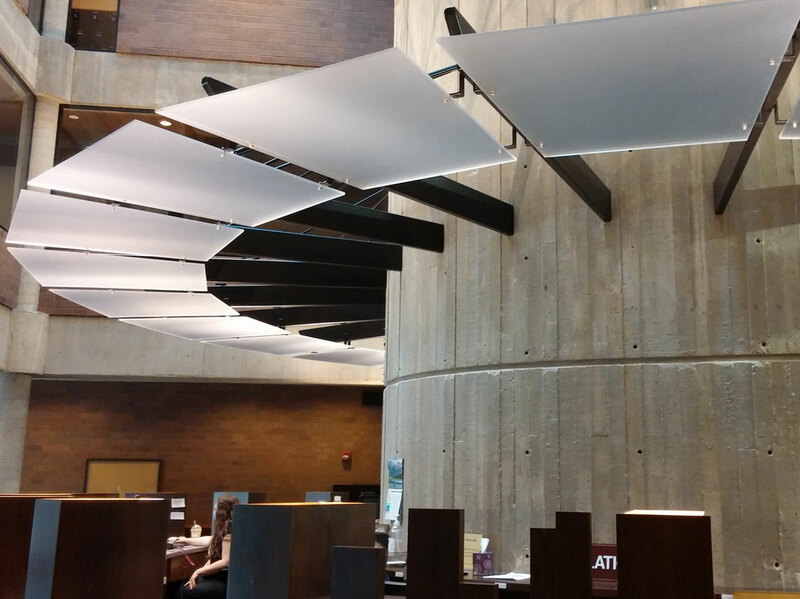 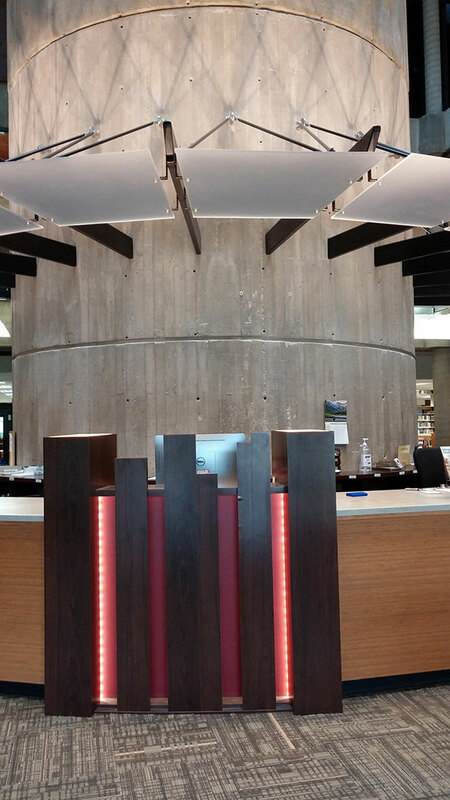 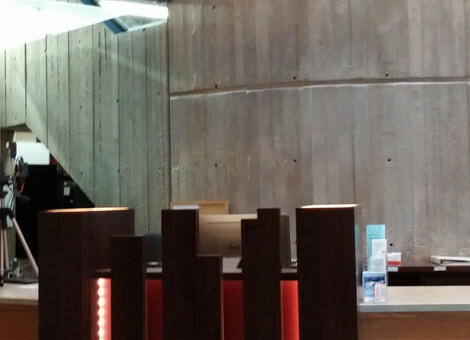 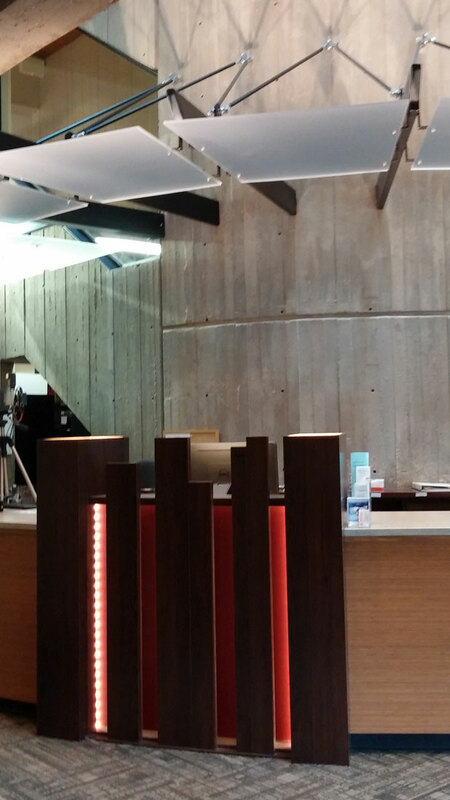 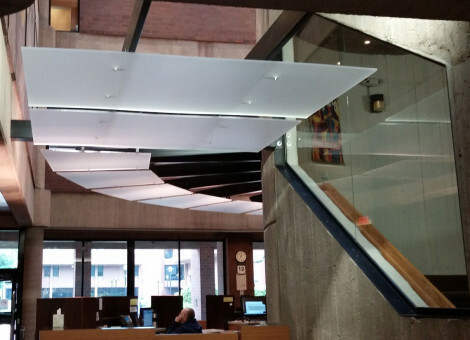 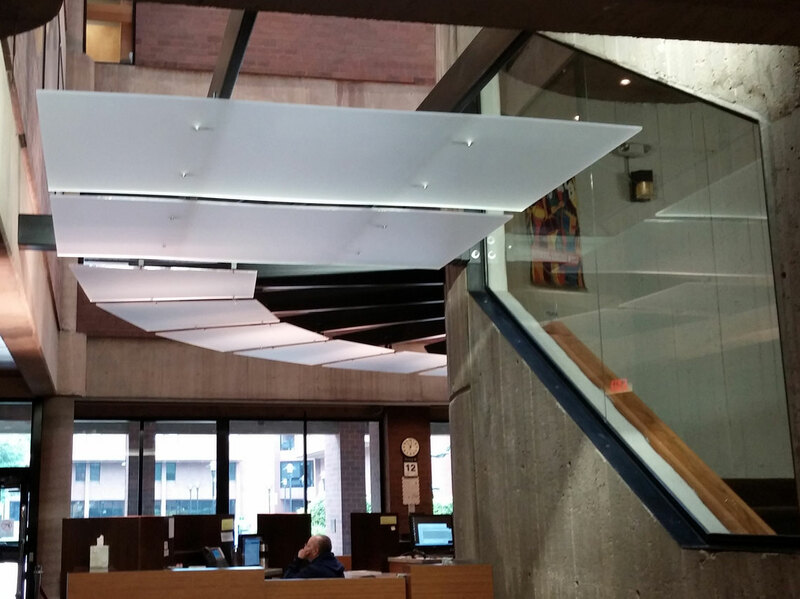 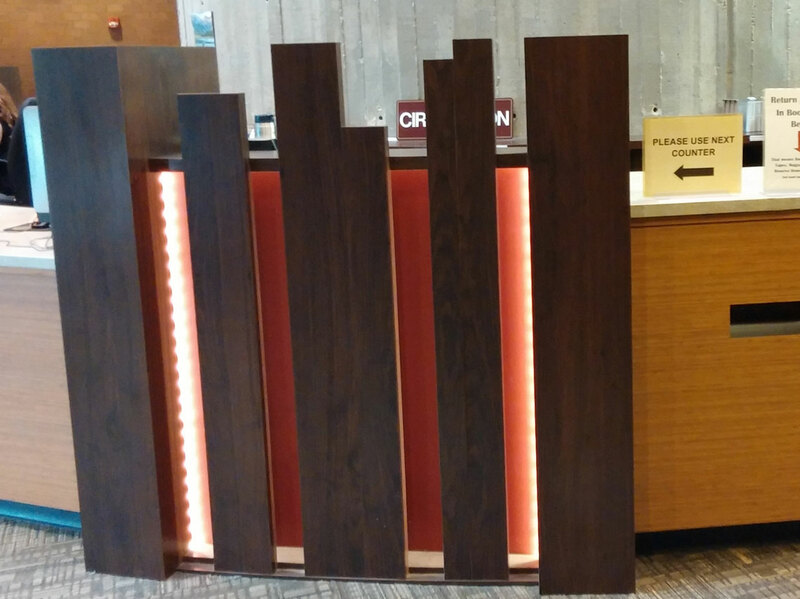 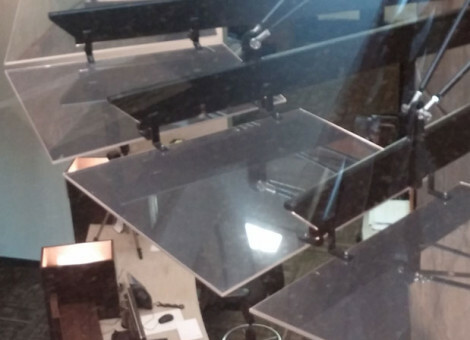 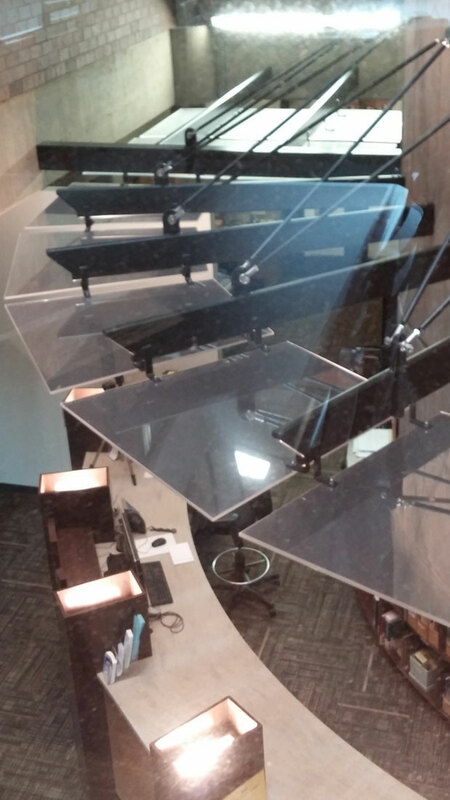 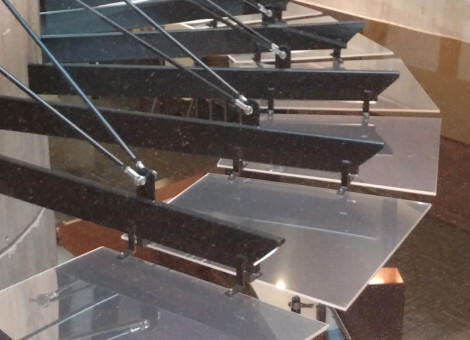 The Miller Building Services team of carpenters and electricians built the custom acrylic suspended ceiling panels and up-lights in the casework to reflect a soft, diffused lighting down onto the librarians, while our subcontractor built the custom casework. 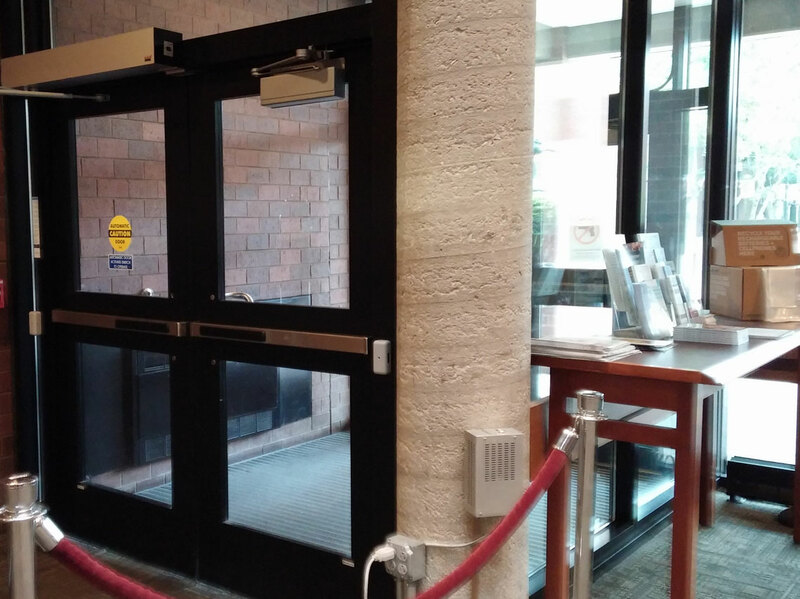 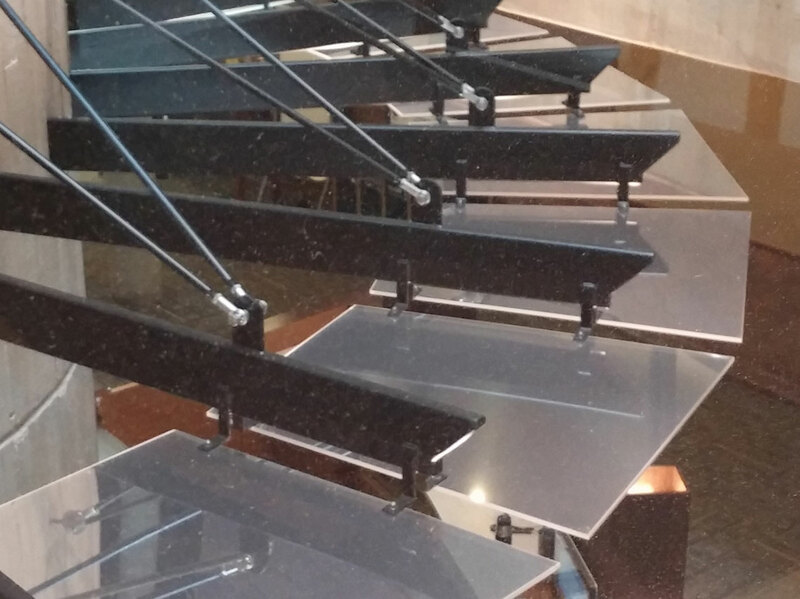 For a finishing touch, we installed the ADA door operators in the vestibule.